Fresh strawberries are in season and there’s nothing better than a nice light dessert of strawberry shortcake. I often use Angel Food Cake for my Strawberry Shortcake because it goes so well with the fresh taste of strawberries. 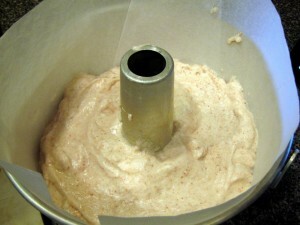 Flavoring an Angel Food Cake can be tricky because you don’t want anything that will flatten the egg whites once they are whipped. 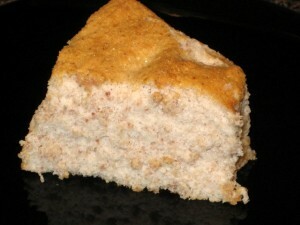 I did this recipe with my Freeze-Dried Strawberry Fruit Powder from Nutri-Fruit. It mixed in well and the taste is a fresh, though not strong, strawberry. You could add the amount of powder to your taste, or use any of the flavors you’d like. I think Banana would be yummy for a Strawberry Shortcake. Preheat an oven to 350°F/180°C/Gas Mark 4. 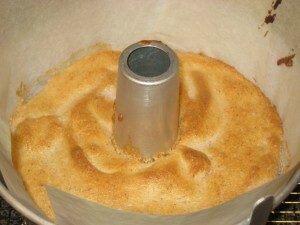 Line a 10-inch angel food cake pan with parchment paper. 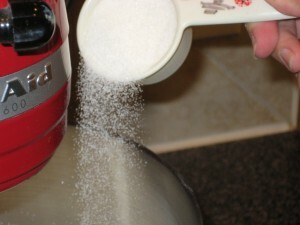 Set aside 1/4 cup/1.75 oz/48 grams of the sugar. Sift together the flour, 1 cup/7 ounces/200 grams of the superfine sugar, the freeze-dried fruit powder and the salt three times; set aside. 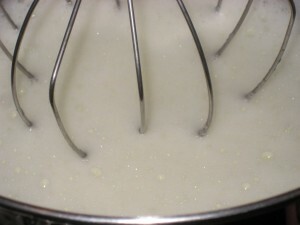 In a large bowl of an electric mixer fitted with the whisk attachment, beat the egg whites on medium-low speed until foamy. 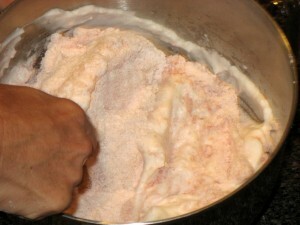 Add the cream of tartar, increase the speed to medium-high and beat until the whites are soft and foamy. 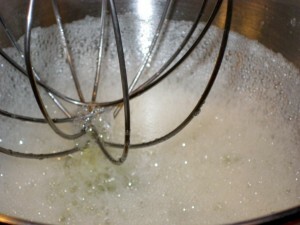 Gradually add the remaining 1/4 cup superfine sugar and beat until medium-firm peaks form when the beaters are lifted. Do not over beat. Sift one-fourth of the flour mixture over the egg white mixture and, using a rubber spatula, gently fold it into the whites using deep strokes. 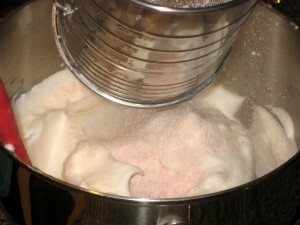 Add the remaining flour mixture in three equal additions, sifting and folding each time. Scoop the batter into the prepared pan and gently smooth the top. Bake until the cake is golden and springs back when touched, about 40 minutes. Remove from the oven and invert the pan onto its feet or the neck of a wine bottle. Let cool completely. Gently run a long, thin-bladed knife around the outer sides of the pan, pressing it firmly against the pan to prevent tearing the cake. Then run the knife or a skewer around the inside of the tube. 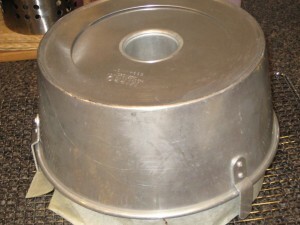 Invert the pan and let the cake slide out. 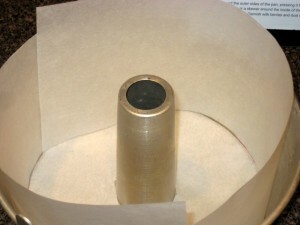 Remove the paper lining. Garnish with berries and dust with confectioners’ sugar. Eggs are easier to separate when they are cold. Carefully crack the egg and, holding it over a bowl, pass the yolk back and forth between the shell halves and let the whites fall into the bowl. Drop the yolk into a separate bowl, then transfer the whites to a third bowl. Separate each additional egg over an empty bowl, for if any speck of yolk gets into the whites, the whites will not whip up properly. If a yolk breaks, start fresh with another egg. 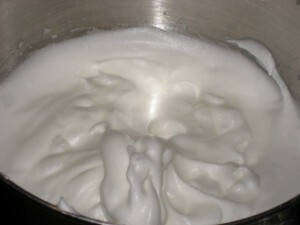 Let the separated egg whites come to room temperature before using them in the batter.